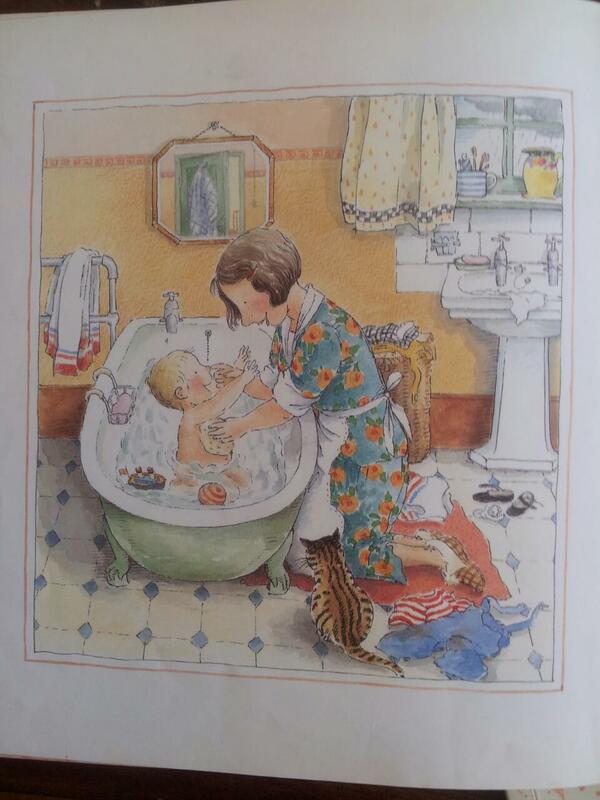 We all know the snuggly, cosy effect of picture books. They are designed to be shared and bonded over; adult and child leaning in together in a moment of comfort and joy. But, as well as these snuggly qualities, did you know that picture books can promote language development, literacy and social skills? ‘Dialogic book reading’ is a style of shared reading where the parent interacts with the child, talking about the illustrations and asking questions about the story. This kind of activity encourages the child to think beyond the story, to relate the pictures to their everyday life and to make sense of their world. 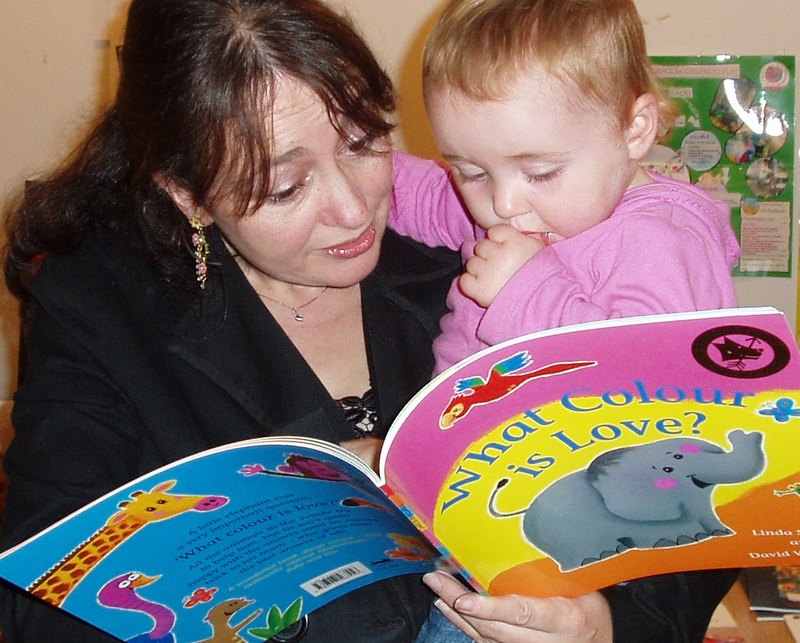 So, as parents and carers, how should we read to our children? Research suggests we should encourage the child to participate in the reading process by asking questions, even at a young age. Ask questions about physical things: What do you see? Where is the baby? What toys does he have? 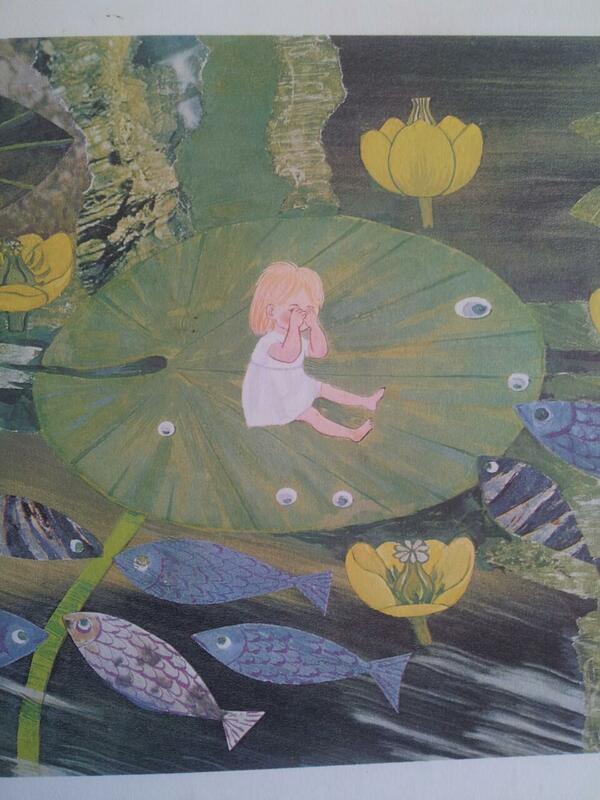 Ask about feelings to help the child express themself: The girl looks sad, why is she sad? Are the fish going to help her? Let the child ask you questions too. 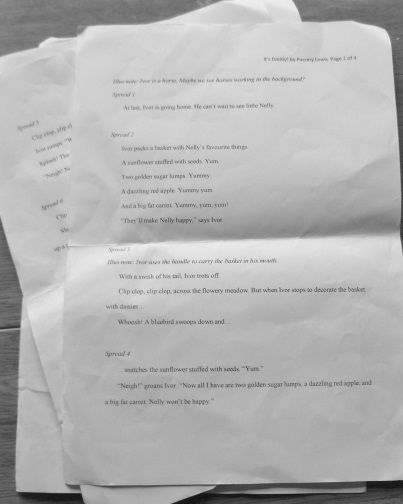 Feed back to the child; praising them when they notice something in the story. Don’t forget the illustrations in this respect. If a child is decoding a story simply from the pictures, praise this as much as when the child reads a word in the text. Adapt the reading style to the child’s growing linguistic abilities. 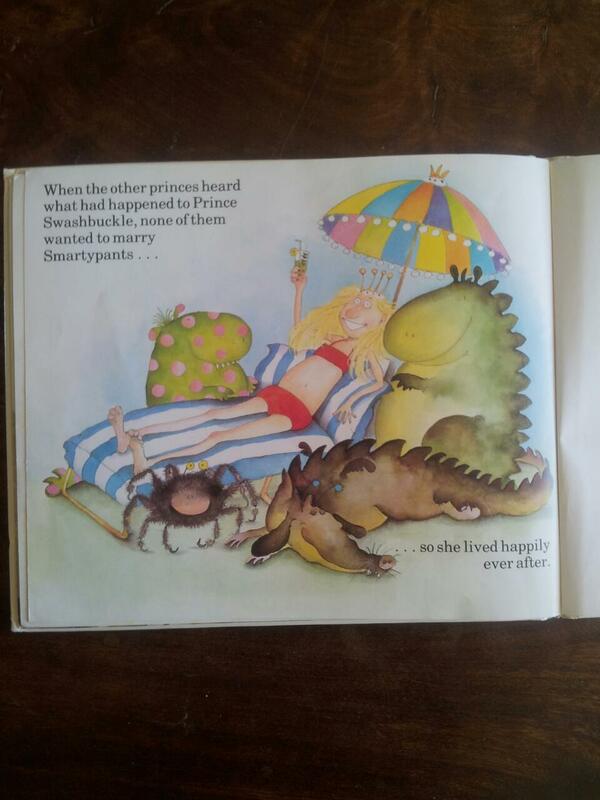 For older children picture books can be used to discuss more complicated issues: Why doesn't Princess Smartypants want to get married? Do you like this ending? Can you imagine another giant pet for her? 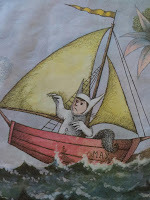 Move beyond the text and relate the story to the child’s life: Would you like a boat like that? You like costumes too! Talk about culture: What kind of animals are these? Can you think of any other Australian animals? Would you like to live in Australia? Recent research has found that even picture books with very few words can encourage language development in two-year olds. A study by Manchester University revealed that when parents share very simple books with their child, the language the parent uses contains more complex constructions than everyday speech. This helps the child learn a wider vocabulary, grammar and even enhances their maths, as one of the key predictors in children’s mathematical skill is early language experience. 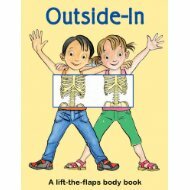 ...A study found those children who are read a picture book before having blood taken feel less pain. 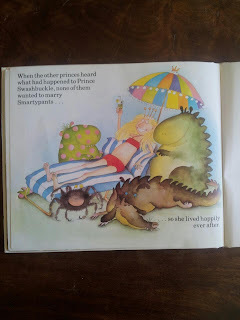 In the online and other public discussions about what makes a successful picture book, that authors and other denizens of the publishing world have from time to time, the subject of titles doesn’t come up perhaps as often as it should. The title is the first piece if information you get about a book and as such, what it conveys in the few words it has at its disposal is as important as it is disproportionate. In the case of a picture book especially, it can sum up the entire concept, the tone of voice, the feel and the probable purpose or intention of the publication in less than ten words. That’s powerful stuff! It needs to grab the attention and be memorable, like a newspaper headline, or a pop song title. It has to make you want to find out more, and most importantly and difficult-to-define-ably of all, it has to be 'right'. Sometimes the process of getting a title 'right' can involve much too-ing and fro-ing between an author and a publisher (incorporating much input from the marketing dept) before everyone is happy, and at other times the title can be the thing that triggers the idea for the book in the first place. 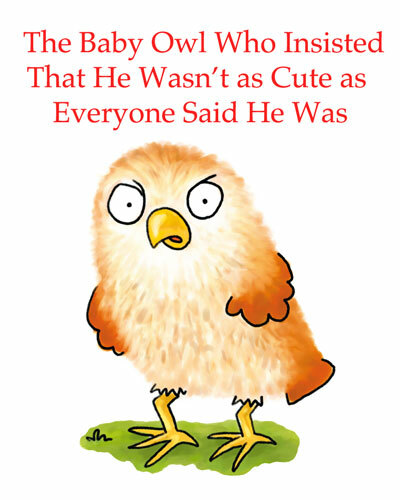 To be boringly self referential for a minute, my picture book ’I’m Not Cute!’ is a good example of what a title can 'tell' you. The whole concept of the book is encapsulated in the title. A character claiming not to be cute. That should grab the attention because picture book characters are pretty much universally cute, so what bizarre heresy is being conducted here? Picture book characters are not usually given room or opportunity to give their opinion of their perceived cuteness, so for one to speak out and refute this perception is unusual and worthy of investigation. So with 'I'm Not Cute! ', in three words we get a concept, a tone of voice and a slightly anarchic feel, not to mention an insight into a character's, and by association, an author's personality. And that's before you get to see the pictures. 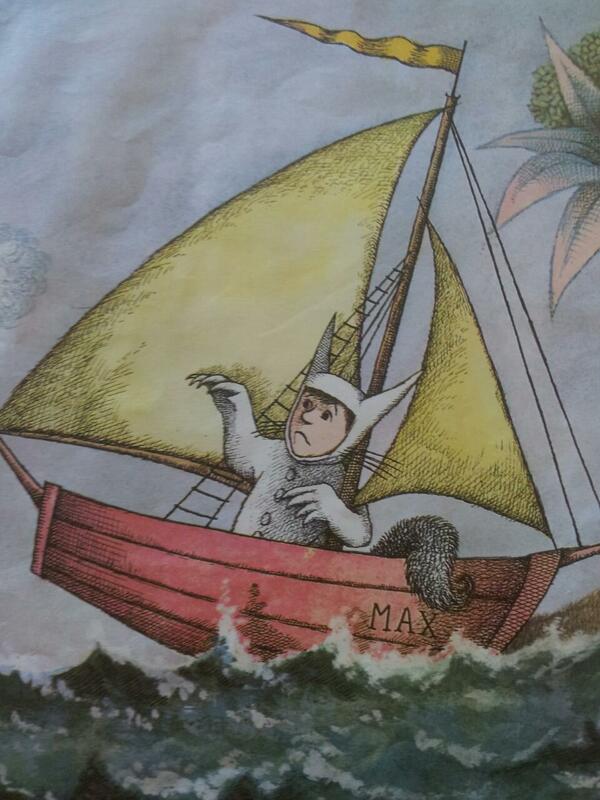 Think of your favourite picture book titles (or children’s fiction titles) and see whether they conform to my thesis. Here are some off the top of my head. Well, that kind of bears me out. You would want to seek them out based on the titles. bland names which largely disregard ’the rules’. . But I guess they indicate what you are going to get. A fun thing to do in a spare moment, if you have such a thing, is to take an interesting, snappy title and make it as prosaic as possible, to see if you would have given it the time of day under this boring guise. Max has a Dream About Monsters. The Ring That Everybody Wants. Would You Like to Try Sam’s Unusual Meal? Potty Training an Unwilling Princess is Difficult. Now you have a go. There are some picture books which just work. Children ask for them to be read, and they look at them by themselves, over and over again, and it isn’t always obvious exactly what the attraction of those books is. Sometimes it’s a personal attachment in one child to a particular book, but sometimes the appeal appears to be universal. One picture book which has worked for generations of children throughout the world is ‘Goodnight Moon’. The cow jumping over the moon’ etc. 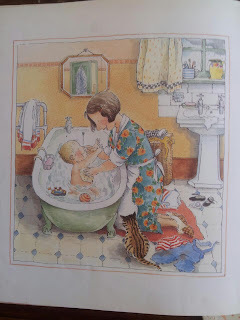 Clement Hurd created the rather crude repetitive pictures in primary colours of the odd room with a burning fire, a rabbit lady knitting in her rocking chair, the kittens and mittens, the telephone, the bowl full of mush, the comb and the bowl of much. The book was published in 1947 and has sold over twelve million copies in at least fourteen different languages in the sixty-six years since. 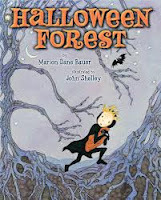 I used the book with my own children, and there truly isn’t a better one for winding a small child down to sleepiness. The text is rhythmic and rhyming and repetitive. Those ‘three ‘r’s’ are well known ingredients for a pleasing read out loud for young children, of course. But here the rhythm and rhyme and repetition seem to be a substitute for story rather than a treatment of it. There simply is no plot; no story. This is just one small rabbit’s goodnight ritual. It is dull dull dull. Can you imagine a present day publisher accepting a page that is entirely blank of illustration, accompanied by the text ‘Goodnight nobody’?! 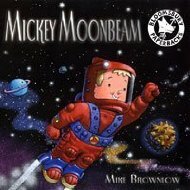 There is some small interest in spotting where the mouse and named objects are, but I think that it is the overall lack of story stimulus that makes the book so successfully soporific. 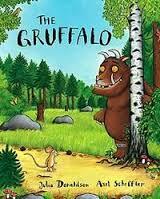 And yet this book has been chosen by polls of teachers as one of their top hundred children’s books of all time. Why would a teacher use a book that so clearly sends children to sleep? Is there some other quality, beyond the hypnotic sleepifying one, that I am missing? And why had I never before heard of the ‘companion’ book, ‘My World’, published by the same pair a couple of years after ‘Goodnight Moon’ proved such an instant hit? Why isn’t that book as famous as the first one? 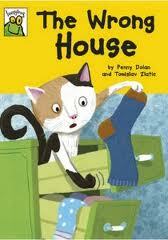 Is there some magic ingredient in ‘Goodnight Moon’ which I should be aiming to emulate in my own books? Any suggestions welcome! 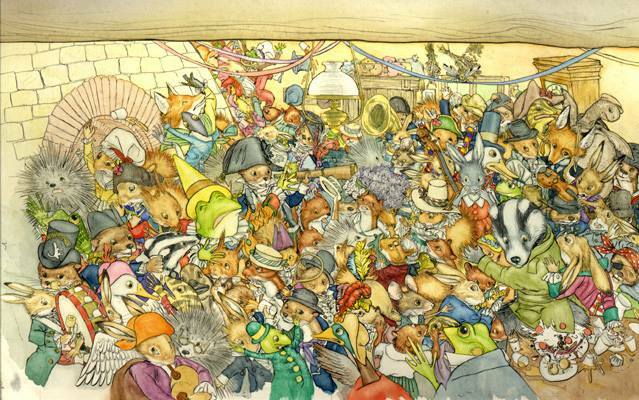 In a picture book it’s easy to write Twenty-nine ancient elephants jumped over the dancing ladybirds. Or even Three smelly dinosaurs munched a castle built of diamonds and opals. But what of the illustrators? It’s not so easy for them! That’s why I tried to be really careful about the unpublished picture-book text I picked for two illustrators who were scheduled to perform a fast-paced ‘Sketching Duel’. The live sketching event was to be in front of an audience at the Millennium Library in Norwich (the most popular public library in the UK). 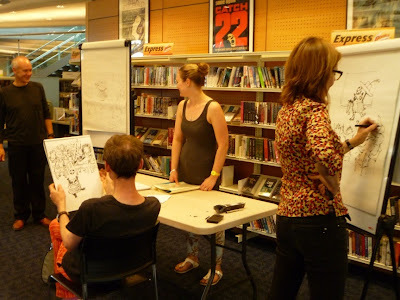 It was part of a day of writing and illustration activities organised by the Eastern Branch of the SCBWI* to accompany an exhibition of members’ illustrations. Even for professional illustrators, the 'Sketching Duel' was quite a challenge. The illustrators weren't allowed to read the text beforehand, and each double-page spread was to be read out in turn, and a rough illustration drawn in mere in minutes. Yikes, don’t blame me, I didn't make the rules! So I chose one of my picture-book texts that had a very simple, traditional structure and no over-the-top scenes. What could possibly go wrong? John Shelley and Mike Brownlow. 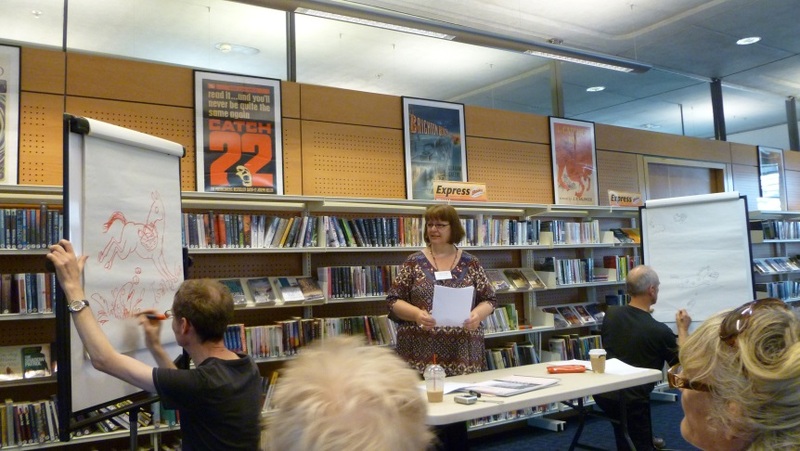 So with two flipcharts and an expectant audience, we began. I told them the story was about a horse named Ivor. Yup, a horse. Not so bad? 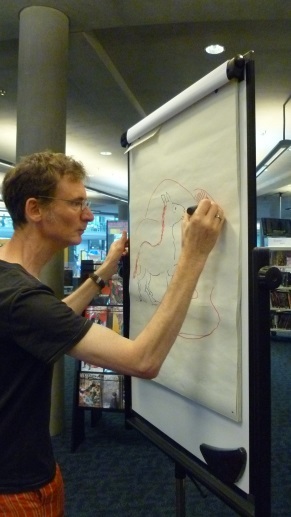 Ho hum, it seems I could ask them to draw penguins or dinosaurs or humans or bunnies or anything EXCEPT horses! But it was too late. It was horses. In this image Mike has given Ivor the horse a thought bubble containing a child. Oops, I hadn’t explained that the other character, Little Nelly, was a foal, not a human. We writers sometimes forget that although we know the story inside out, the reader/illustrator doesn't. Of course, despite my unintended attempts to thwart the illustrators with horses, they didn't turn away from the challenge and went on to produce delightful images that reflected and added to the story. Here are a few they drew in mere moments, with a snippet of the story (not all their images were so similar). Story snippet: Clip clop, clip clop, Ivor trots on until he sees a wide river. He jumps. Story snippet: Clip clop, clip clop, Ivor trots through towering trees. Shadows move and out bursts a sneaky squirrel. It grabs the dazzling red apple and dashes up a pine tree. 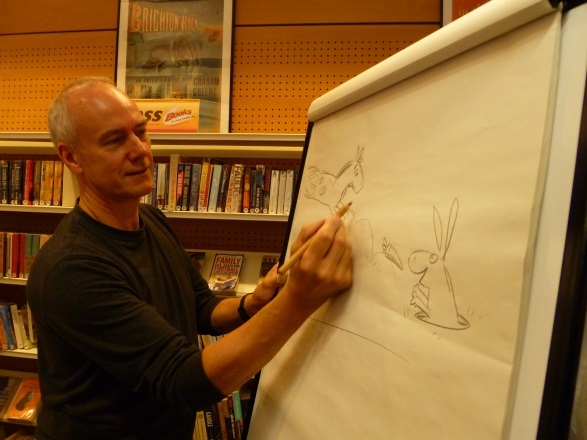 Is Mike smiling because he was allowed to draw a bunny?! 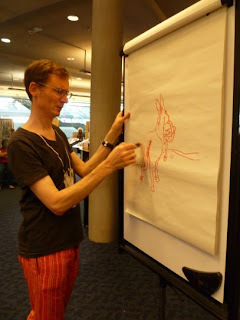 John explained how an illustrator can hint at something that has happened, without actually drawing it. 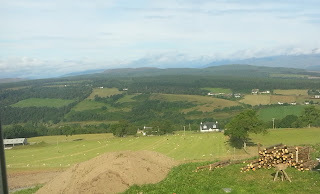 Here, Ivor the horse runs up the hill, and then begins running down. 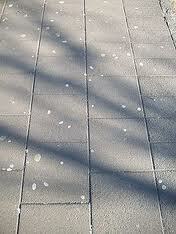 Hoof prints are the clue that he has already run up. 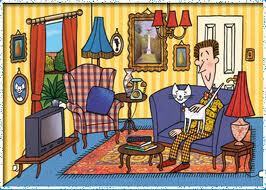 Whilst here, I asked John why he’d drawn the rear of Ivor. 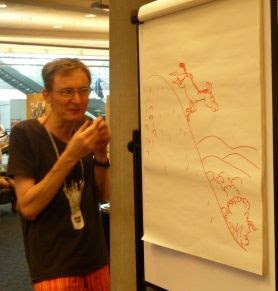 John explained that illustrators sometimes do this to show a transition scene. It’s an illustrative way to show the story is moving on to something new. It also gives a sense of anticipation. Finally, here are the last pages, and I was intrigued how the horses had developed over the twelve illustrations. When I asked how illustrators decide on whether to use a cartoon or realistic style, the illustrators explained it often depended on the story. The more anthropomorphic a story, the more a story is likely to need cartoon illustrations because a realistic horse would look ‘wrong’ doing human-like actions. 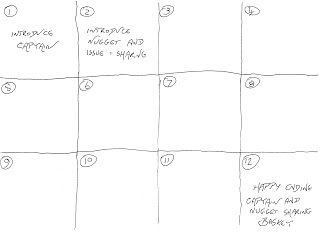 As somebody who writes, and doesn't illustrate, I was blown away by John and Mike’s fast, unprepared sketches. I also learnt new things about the way words and illustrations combine. However, I still didn't understand what it was about horses that made them cringe. So later I asked them. “What's the problem with drawing horses? I actually like drawing horses when I have plenty of time, but conjuring a horse character straight out of your mind can be more of a challenge! At the end of the day of events, another SCBWI member and writer, Annie Neild, read out one of her picture book texts. This time John used charcoal instead of red highlighter pen (a frustrating medium). Mike stuck with pencil. Plus another professional illustrator was able to take part, Bridget Strevens-Marzo. 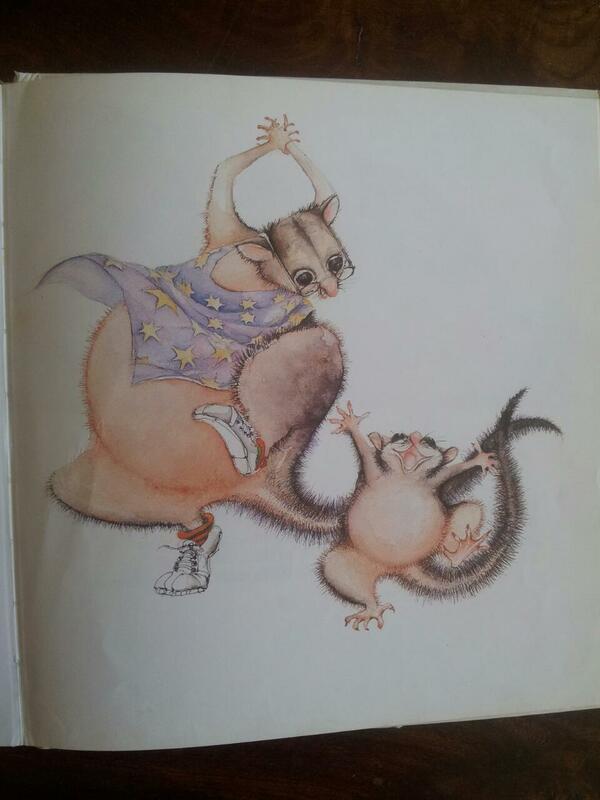 Juggling pandas, giraffes, lions and crocodiles were all illustrated! Everyone was happy… NO HORSES! Hello. 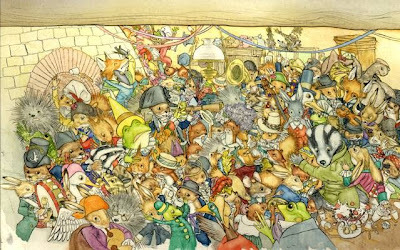 I’m a little trepidatious about visiting the Picture Book Den, even as a Guest. 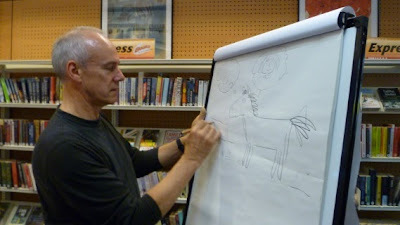 Apart from MR POD AND MRS PICCALILLI, which I worked on with the illustrious Nick Sharrat, my “picture books” are known in the book trade as “early readers”, a term often spoken with a slight lowering of the voice. 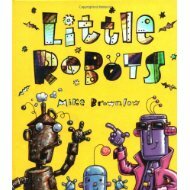 You won’t find the early readers in bookshops like Waterstones or submitted for awards. Nevertheless, I – and others like me - write the books for enjoyment and for the pleasure of young readers. Unlike the traditional reading scheme, the various series that I write for have no set of established characters. There’s no single setting and certainly no running reference to a magic key. Yes there’s a word count, but that’s all. I once tried writing to briefs based on a list of phonics. I found them impossible to write, and I wasn’t sorry. I don’t do lists. The vocabulary I use comes from years of hearing young children read – as a parent and as a teacher – and a love of rhyme and rhythm and simple wordplay. I write using familiar words, livened up with the odd interesting and intriguing word that they might have come across. I must say that these books are a pleasure to write once you’ve got the idea. There’s none of the plate-spinning giddiness that comes with trying to manage a complex plot when you know guests are about to arrive. Also, there’s the definite deadline to encourage you to get on with the writing process, to refine your words and phrasing, just as Malachy Doyle’s described in his recent post. You work to the brief – which is a word count and the number of spreads - and you know your idea is, potentially wanted. Early readers seem to have a faster publishing cycle so you may even see your book within nine months. Oh! Assuming you actually have an idea? That’s always the problem. So, where have I got my ideas from? Some come from school situations as I do a lot of school visiting. THAT NOISE! arrived because I heard a teacher at a weekly djembe drumming class talk about the drum group he’d set up in his primary school. 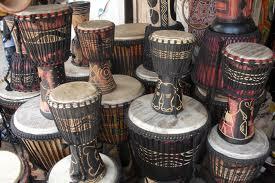 Which kids, I pondered, would be good at drumming? Answer: the fidgety kids, the ones who can’t help tapping or clicking or making a noise. But plot? Suppose the kids thought they were in trouble with their teacher when what he wanted them for was to form a school drum group? Happy ending! Nevertheless, the “school idea” comes with a warning. Schools change, both in curriculum and in what’s acceptable. 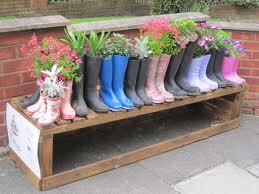 Those wellies might have been part of a gardening club. The drums might be a new school music initiative. The funding for both may now have dried up so my clever little stories no longer link into school requirements. 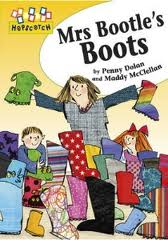 Helping sort old boots and shoes may even have become, in some schools, a health and safety issue. It’s always useful to check on current practice in schools and classrooms. Note that both these early reader books are specific to a certain school setting. Such ideas would have no chance of being sold for a global market. However, it does mean that such stories can be about people rather than generic animals. Sometimes commissions arrive. However, even a traditional tale needs thinking about. 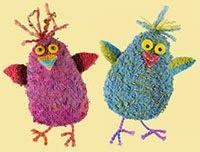 Take, for example, THE LITTLE RED HEN, where the hen finds the grain of wheat and the other animals won’t help. The plot where she has to do every task herself? I decided my trio of unhelpful animals would not be the cat, the pig and the goose – or similar - of some versions but “the cat, the dog and the rat”. 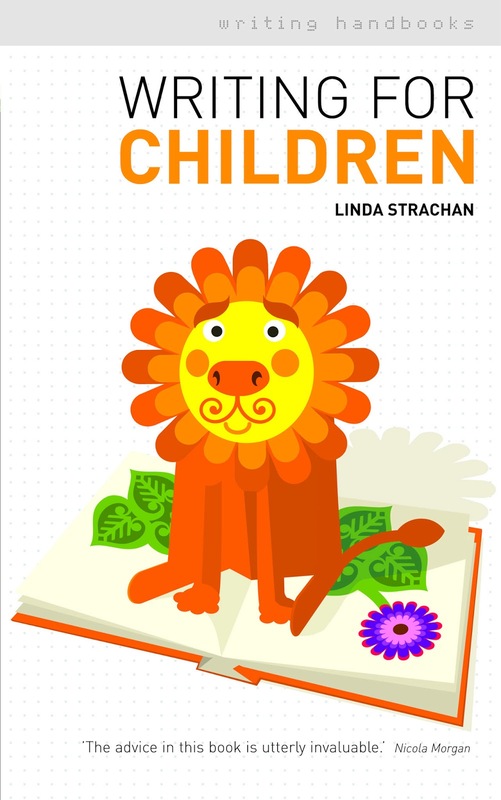 I chose my creatures because the “cat” and the “rat” made a satisfying rhyming pattern, and because the set of animals would be known by many children and also because they created no cultural problem for schools. However, there was also the ending to manage. 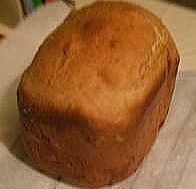 The Little Red Hen does all she must do, bakes her bread and then? Eats it all up herself - which makes her a greedy vindictive character? Not nice! So my Little Red Hen ends by “calling all my little chicks to help me eat the bread”. Rightness is restored. This might seem like a tiny moment, but in early reader and picture book texts, all is done through tiny moments. Lately there’s been a demand for the “reversed traditional story” idea. Soon after having my knee nipped by a goat at a pet farm, I dreamed up LITTLE TROLL, whose happy, friendly under-the-bridge world is disturbed by the arrival of three bad goats. Note: if I had a picture-book-writing motto, it would be “always think twice.” Or more than twice. 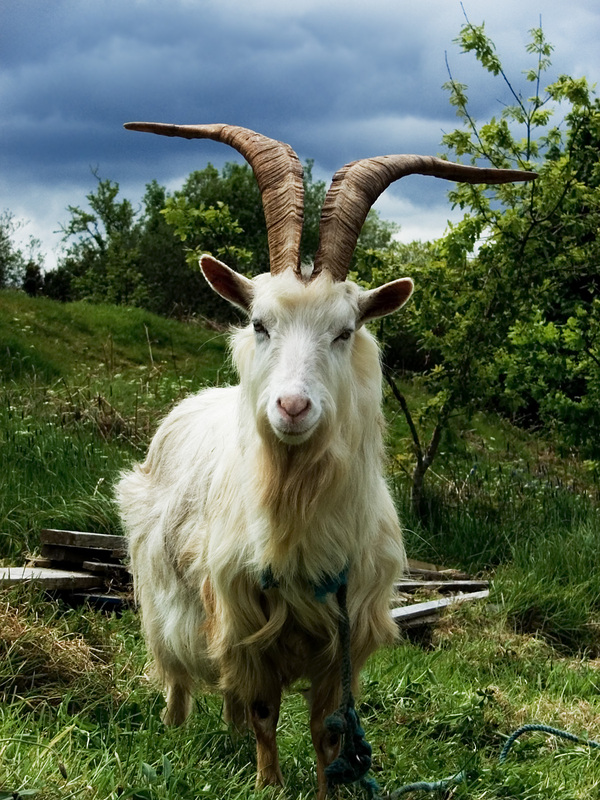 As I wrote the word “billy goat”, I “thought twice” and re-wrote the word. 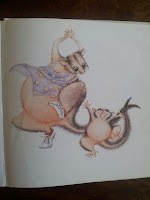 In the book they have, appropriately, become the Bully Goats, reminding the young reader of the playfulness of language. One problem with writing for a series is that the series editor and educational consultant will not want – for a while – a story similar to a book that already exists so if you are a new writer, check through the titles that are already out there. I must add that, less overtly, the “one idea at a time” rule is true of all publishers, expect perhaps for picture books about bears or kittens. However, ideas can be used for more than one format. 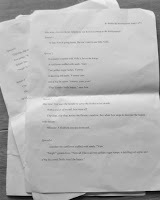 During the Darwin “evolution” anniversary, I wrote a couple of small scripts for an educational animation project. Somehow, trying to think up a Twisty Tale, evolution edged into my head again. 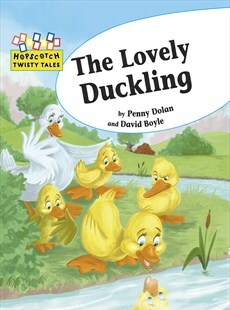 THE LOVELY DUCKLING became a story about how three slightly less-perfect ducklings use their physical differences to develop useful skills, whilst the poor, fussed-over Beauty - the lovely duckling – has to stay in the nest, bored and beautiful, until she opts for the everyday life of the farmyard herself. Call it my revenge on celebrity culture! I can’t draw every well, but I do “see” the scenes on the page spreads and write imagining possible illustrations. It’s always a joyous moment when one sees the artist’s own version especially when they have added a twist that I hadn’t imagined. As far as ideas go, it can be useful to think “idea plus genre”, and strengthen an idea by placing it within a recognisable but unlikely frame. My BIG BAD BLOB is a cautionary fantasy tale about the danger of dropping gum, written after having to walk over new pavements daubed with horridly spitty gum. Yuk! So, writing the text, my mind was definitely focused on the horror genre, even though I knew the story needed to be humorous. Now that’s another thing. 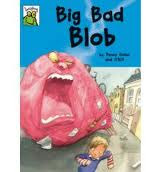 BIG BAD BLOB is a great favourite from six years upwards. Children younger than that don’t appreciated the joke so clearly, although they like the illustrations. Picture book ideas need to be within the understanding and experience or the “story experience” of the child. Too clever, and the book won’t keep their interest or reach their hearts. I often use well-known rhythms and rhymes for my writing, and can trace several back to a familiar refrain, such as THE DEEP DARK FOREST. Early reader book words need to sound good in the mouth, so I revise by reading the text aloud over and over again. Lost family pets have brought me ideas - THE WRONG HOUSE – and there’s also those bad pigeons. . . Enough! You see, ideas are fluttering about everywhere. Er, except when you really want them. Like now, today. Grrr! I’m off to hunt through the old Brain Forest with my trusty Idea Net. If only the thing wasn’t full of holes. Both of them. Thank you for listening, and happy reading and writing to you all, whatever kind of books you enjoy. Ps. Written with huge thanks to all the illustrators who’ve made my small ideas into real story books.